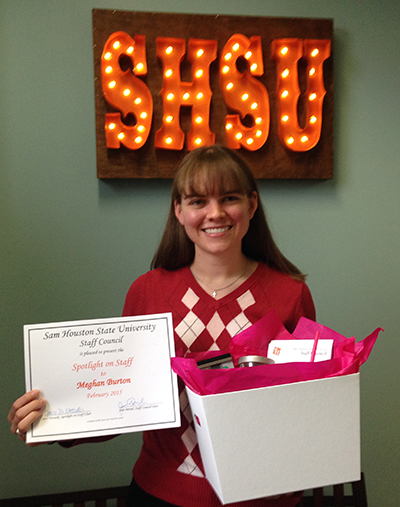 Huntsville area businesses and organizations will head to Sam Houston State University to chat with students about the services they provide, as well as hand out goodies, for the “spring edition” of Bearkat Mania on Friday (Feb. 27). KSAM-FM and 104.9 The Hits radio-sponsored event will bring booths set up in Bearkat Plaza from 10 a.m. until 2 p.m. that will provide great opportunities for all Bearkats, according to Steve Everett, general manager of KSAM and The Hits. “This event is the only such experience where local businesses can set up to familiarize new and existing students, along with faculty and staff, with their products and services,” he said. “Bearkats can ‘sample their wares,’ meet new people and gather a bagful of free giveaways including a valuable coupon card. Attendees also can register for free door prizes, participate in promotions, and sample foods, as well as pick up one of 5,000 free coupon cards that include discounts from participating sponsors. The free event will include participants from local eateries, auto care, banks, shopping entities, and churches. KSAM-FM and 104.9 The Hits will broadcast live throughout the event. For more information, contact Everett at 936.295.2651. Former police officer Ben Smith will share his experiences with drunk and drugged driving accidents on Tuesday (Feb. 24) at 2 p.m. in the Criminal Justice Center’s Hazel B. Kerper Courtroom as part of the College of Criminal Justice’s Voices Lecture Series. “I saw the tragedy and carnage involved with accidents, many of them caused by impaired drivers,” said Smith, who served as a Bryan police officer for 28 years. 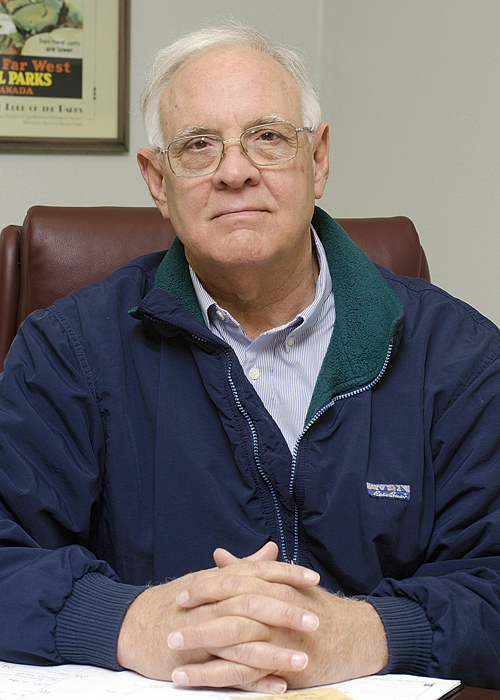 Smith currently works as a victim advocate for Mothers Against Drunk Driving for East Texas, where he assists victims with the emotional, economic and legal issues that arise from their cases. He serves as a liaison between law enforcement and prosecutors, talks with insurance companies for claims and provides referrals to counselors or civil attorneys. He also helps victims apply for the Crime Victims Compensation Fund to help cover expenses caused by the crime. MADD offers a large library of free material on impaired driving and other related subjects, such as burns or spinal cord injuries, or information for those who are coping with the loss of a loved one. MADD of East Texas offers “Victims Visiting and Helping Other Victims,” monthly support groups where victims can gather to get help and understanding from one another. Admission to the lecture is free. For more information, contact Beth Kuhles, publications coordinator for the College of Criminal Justice, at 936.294.4425. As students begin thinking about where they will live at the end of the spring semester, Sam Houston State University’s Public Relations Student Society of America will lend a hand, bringing all of Huntsville’s most popular apartment complexes on campus for the annual Student Living Expo on Thursday (Feb. 26). Booths from 12 complexes and residential facilities will be set up in the Lowman Student Center Ballroom from 10 a.m. to 2 p.m., during which students can receive information about amenities and current leasing promotions. “The Living Expo is a fun alternative to apartment hunting that offers free giveaways and games provided by the attending residencies,” said Presley Tepe, PRSSA director of chapter development. “It is a great way for students to get information about living communities—both on and off campus—all in one place. “Students have the opportunity to weigh their options without having to leave campus,” Tepe said. “Along with the giveaways, there will be a drawing for a grand prize. Participants will include Brook Place, The Forum, The Grove, Gateway, Encore, The Villas on Sycamore, The Village of Sam Houston, University House, SHSU Residence Life, Cornerstone Apartments, Montgomery Village, and The Connection. For more information, contact Tepe at pct002@shsu.edu. Mac Woodward, director of the Sam Houston Memorial Museum, will stop by the KPFT studio on Friday (March 6) to discuss Gen. Sam Houston’s views on secession in advance of the Civil War. The discussion will be presented on KPFT Open Journal, beginning at approximately 8:25 a.m. It is part of the Houston Historical Association Radio Series, a series of 20-minute discussions that focus on the City of Houston in the 1860s. Throughout the month of March, the series will highlight Gen. Sam Houston, his political influences and secession. The discussion will be broadcast live on KPFT 90.1 FM and will be available to stream live on the KPFT website. The SHSU Symphony Orchestra will perform “Folk Inspirations” at 7:30 p.m. on Saturday (Feb. 28) in the Gaertner Performing Arts Center Concert Hall. “The performance will open with Ralph Vaughan Williams’s ‘Five Variants on Dives and Lazarus’ for strings and harps, based on a tune that has become a part of many hymnals, and will conclude with Antonín Dvo?ák’s rousing and folk-inspired ‘Symphony No. 8 in G major,’” said Jonathan Pasternack, visiting director of orchestral studies. The SHSU Symphony Orchestra is comprised of 75 students and performs a number of concerts each season. The ensemble also frequently tours internationally, performing in locations such as Hungary, the Czech Republic, the People’s Republic of China and Puerto Rico. Tickets are $15 for general admission, $12 for senior citizens and $5 for SHSU students. For more information, contact the School of Music at 936.294.1360. 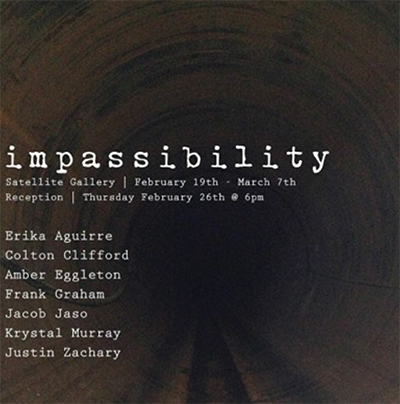 The SHSU Student Satellite Gallery will host the work of eight students in “Impassibility,” which will be on display until March 7. A reception will be held Thursday (Feb. 26) from 6-8 p.m. The exhibit will display the works of Erika Aguirre, Colton Clifford, Amber Eggleton, Frank Graham, Jacob Jaso, Ashton Leath, Krystal Murray, and Justin Zachary. “Impassibility” is a visual investigation of issues of the fleeting moments of living, gender roles and family connections. Each artist is given the opportunity to explore the realms of the impassible and its definition as it applies to their daily lives and their body of work. Artists utilized video, sculpture, painting and mixed media to transform the space into an immersive, emotional and honest interpretation of their views of impassibility. The SHSU Student Satellite Gallery is located at 1216 University Ave., in downtown Huntsville. For more information, contact Melissa Mednicov, assistant professor of contemporary art, at 936.294.4572. At the age of 4, Howard Ward Jr. watched a documentary on open-heart surgery with his father and was fascinated by what he saw. Even at such a young age, he knew that he wanted to practice medicine. He was instilled with a passion for helping people and is now working toward becoming a doctor himself. Recently, he became one of the few students who has been accepted into the Baylor College of Medicine, where he will continue his journey to a career in medicine, beginning in July 2015. Ward graduated with his bachelor’s degree in history in December 2014. Throughout his undergraduate career, he maintained contact with the Allied Health and Medical Office to ensure that he was taking the necessary preparations to be considered a pre-medical student. Ward utilized the resources provided by the faculty in the biology, chemistry and history departments to fully understand the material he was learning, he said. He also worked with the Allied Health and Medical Office to prepare for the Medical College Admission Test, as well as the application process. As he prepares for this new chapter in his life, Ward believes that his time at SHSU helped him to grow and develop, as a student and an individual. “The path of a pre-medical student is challenging and difficult, and at times it is easy to become discouraged,” he said. “The support of my family, friends and the helpful faculty at SHSU aided my determination to continue on the path I had chosen. I learned that it takes discipline and focus to succeed as a pre-medical student, and I intend to carry this philosophy into medical school with me. Burton, a second-generation SHSU graduate, began her career working as a student assistant in the Department of Educational Leadership and Counseling in 2007 as she completed her undergraduate degree. She has worked in the Office of Enrollment Management since 2011 and also serves on the university marketing committee. She is actively involved in her church and volunteers with the youth group. She enjoys spending time with family and friends, creating DIY projects, and playing with her yellow lab, Samantha. Submission criteria and guidelines, including deadlines, have now been placed online, at shsu.edu/~pin_www/guidelines.html. This information is also accessible through the “Submissions” link in the right-hand navigation on Today@Sam.